Artificial or intense sweeteners are compounds used as a substitute to common table sugar. These sweeteners usually contain fewer calories due to the omission of sucrose during their production process. According to the Wise Geek website, there are five primary artificial sweeteners that are approved for use in the U.S. These intense sweeteners include aspartame, acesulfame potassium and neotame as well as saccharin and sucralose. Intense sweeteners are commonly found in various food and beverage products across the U.S., the article states. Aspartame, first discovered in 1965, remains to be the most used artificial sweetener around the world. Intense, artificial sweeteners have always been the center of various studies surrounding the link between food intake and diabetes onset. An article posted on the Medical Daily website cited a European study demonstrating that people with the highest consumption of artificial sweeteners were at an increased risk of developing type-2 diabetes. Likewise, previous studies have indicated a link between diabetes onset and consuming sugary. Data from the Nurses’ Health Study shows that the risk of developing diabetes is further amplifies when a person drinks at least one diet drink or sugar-sweetened drink per day. People with a normal weight, but consumed sugary drinks, are also at higher odds of developing diabetes. A vast number of studies have also shown a link between drinking artificial sweeteners and the risk of developing a metabolic syndrome, a cluster of conditions characterized by high blood pressure, high blood sugar level, excessive abdominal fat, and abnormal cholesterol levels. According to previous studies, people who drink artificially-sweetened beverages are twice as likely to suffer from metabolic syndrome than nondrinkers. In addition, sugary drinks are associated with an elevated risk of obesity. Data from the San Antonio Heart Study reveal that male and female participants who drank artificially-sweetened beverages over a seven- to eight-year period exhibited greater weight gain than those who did not. Another study has demonstrated that both male and female adolescents who consumed artificially-sweetened beverages have shown increased body mass index and increased body fat percentage during a follow up period. Artificially-sweetened and sugar-laden beverages are tied to an increased risk of coronary heart disease as well. People who consume two or more servings of sugary beverages are found to have a higher likelihood of developing coronary heart disease, hypertension, and other cardiovascular diseases. A 2012 study has also shown that drinking artificially-sweetened beverages may raise the odds of suffering a stroke. Moreover, intense sweeteners used in diet soda are found to cause kidney issues. A 2011 study has demonstrated that women who had two or more servings diet soda per day are more susceptible to kidney function decline. Researchers have concluded that drinking the same amount may lead to a twofold increased risk of kidney function decline. Intense sweeteners are also known negatively impact the bacterial communities in the digestive tract. The harmful chemicals are shown to increase the population of gut bacteria that turn food into fat, which then elevates the risk of developing liver diseases and heart conditions. The harmful sweeteners are found to induce hormonal imbalance as well. 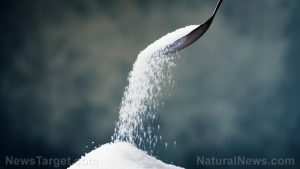 Furthermore, a number of studies have made a connection between intense sweeteners and cancer. For instance, an animal study has demonstrated that rats fed with aspartame are more likely to develop lymphomas and leukemia. Intense sweeteners affect both cardiovascular profile and digestive health. Likewise, the flavoring agents negatively impact kidney health. Intense sweeteners may cause type-2 diabetes, obesity, and metabolic syndrome. Intense sweeteners lead to hypertension, coronary heart disease, and stroke. Intense sweeteners result in cancer onset, kidney dysfunction, and hormonal imbalance. Intense sweeteners affect both the body’s cardiovascular profile and digestive health. Intense sweeteners also impact kidney health and liver condition.